I miss being young. Or young-er. I miss Primary school and secondary school. I miss not having to worry about life or work or money. I miss my only worry being what games we would be playing at Brownies that evening or who’s house me and my friends would be going round that weekend. I’ve been incredibly lucky and had a fantastic childhood and fantastic teenage years and whilst I’m forever grateful, I do get sad sometimes over how fast they went and I end up extremely nostalgic. And often in tears. Here are 15 things I deeply miss about being younger! Speaking of school, I miss that too. Primary and secondary – I loved every minute of it. I was incredibly lucky to go to such good schools, have a solid group of friends, got good grades and had a lot of amazing opportunities. Like school trips. Oh gosh I miss school trips! Especially residential trips and spending a week in a new place with your friends, exploring and learning. I was lucky enough to go to Devon, Cornwall, Paris twice and skiing in the Alps with my schools. Barbies. I played with Barbies until a shameful age because I loved building them houses and got a little obsessed. Birthday parties: Swimming parties, McDonald’s parties, Sports parties. We knew how to have a good time at the age of 7. Video tapes instead of DVD’s and Netflix. And renting them from blockbuster. RIP. Spending all day traipsing around London, with no plans but having the most incredible day. Starbucks and Nandos in Westfield’s pretending we’re Kate Moss or getting ridiculous make-up done in Camden pretending we’re Taylor Momsen. PlayStation 1. Need I say more? GCSE’s. I realise I’m sounding more and more like Hermione Granger by the minute but I genuinely do miss the feeling of exam season. I loved my subjects and loved revising. I worked hard and the importance of our GCSE exams is a feeling I miss. Lack of technology: Spending hours on Paint? YES. Waiting 3 hours for your computer to start? YES. Snake being the best game in the world? TRIPLE YES. Having all the hopes, dreams and ambitions for the future. What do you miss about being younger? About Primary or Secondary school? Are you a 90’s kid like me and remember any of these things? Let me know! Next ArticleThe Influence of Followers: Would You Still Blog if You Didn’t Have Them? 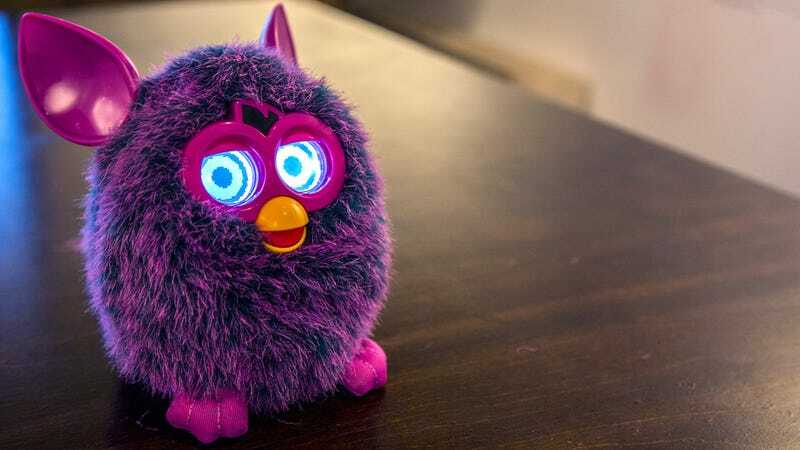 Oh my God I miss Furbies the new ones are so creepy! I’ve not seen the new ones! I miss the sense of wonder and mystery of being a kid. There is a comforting dependence on others who you have faith in guiding your life. Of course there are the occasional spats with family that hopefully bring your closer in the end. Toys, music and other things that make childhood awesome I am sure many miss. I definitely get nostalgic sometimes, but I do’t think I’d want to go back, and I would sure as hell not be going back to middle school/high school. They were the WORST. I miss the music program from my high school. I get nostalgic anytime I see a marching band play at a football game because that was something that meant a lot to me, but I did not have great friends during those years and in general high school was kind of miserable lol. Oh man, furby. I remember when they first came out & my brother & I were at the store with my mum? My brother screams “mum, they have furbies here!! * pointing & jumping up & down & everyone around us losing their minds and running to get them. I miss those 1st Gen furbies. Hahaha it’s funny cos they weren’t even that great were they? 😂 I remember mine was white with green eyes and soooo annoying! I was in a shop I can’t remember now with my mum picking one out! Annoying yes, but oh so cute XD mine broke & I honestly thought it was gonna explode. It made this horrible buzzing noise that wouldn’t stop & I cried I was so upset. Mine was white & pink with grey/black spots all over. We just have far too much to worry about now as adults. I don’t even think our parents age has this much to worry about. I have some fantastic memories from home as a child too – family holidays. I miss those. I was primarily a loner in elementary school, and while my social circle did improve a little as I got older and I generally got good grades and all, my pre-college years weren’t really memorable. The best of times were when I didn’t have to be in those environments; when at home or with friends who I befriended in environments other than school. Mostly, I miss the not being responsible for anything or worrying about a paycheck. Not having to worry about money is definitely something I miss. Yes you make such a good point about Facebook etc! I definitely think I would have appreciated not having it more if I could see the future and realise how dependant everyone would end up on it – and Twitter etc. It’s amazing to think how far we’ve come. It makes me kinda sad sometimes. I crave a simpler time sometimes. Oh god I remember roller skating too! So much fun! Not having to worry about being out with friends till late. Everyone is so worried about everything these days. I never went out with a phone or anything when I was younger! And my parents didn’t care or worry. Now kids need a phone, a sat nav and a bloody tracking device. Thankfully I can still skate, even if I do need protective gear these days. I think we lose the fun from our childhoods when we get older. We forget what it was like and I think that is not doing us any good, we should all have a bit of fun and silliness every now and then. Exactly! I swear the older I get, the more problems that people make up for themselves. I don’t remember any of the silly things people are worrying about or offended over when I was little? I completely agree – we do forget what it’s like to have fun and not care about what people think. Although I enjoy technology and social media, I do look back with great fondness when there was no internet, no google, no facebook. We had to stay in touch by going to see the person you wanted to talk to. MSN was legendary! Chatting away with your crush and all that good stuff haha. I definitely miss school as well, it was horrible at times with bullying and being left out etc. but there were so many good times as well. I’m only 20 though so definitely not old but I’m not a teen or kid anymore either. Oh my god so much nostalgia! The thing I miss most is not having responsibility, and all the great cartoons and TV shows that were on Saturday mornings! Yes Saturday morning TV was the BEST! 5. Tinned spaghetti on toast. 6. Going off for the day with David & Ian and nobody worrying about us. 9. 6 of us in a Mini going down to Bath to a Festival! http://www.ukrockfestivals.com/bA1.html & running out of petrol on the way back! 10. Finding out about girls! Hahaha great list John – although I can’t say I knew what some of them were but I’m guessing you were the same with my list? 😉 I miss the old, simpler times. Nothing! I had a difficult childhood and all the things I enjoyed were the things that took me away from home, such as school and RedRover tickets for all day weekend bus travel. Now I have a home of my own, I wouldn’t go back. I try not to look back.